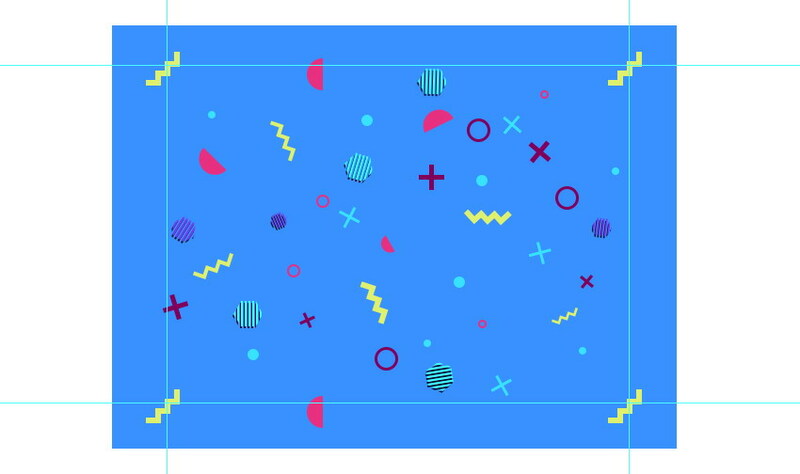 Nineties patterns are recognizable by their use of vibrant color and simple geometric shapes. 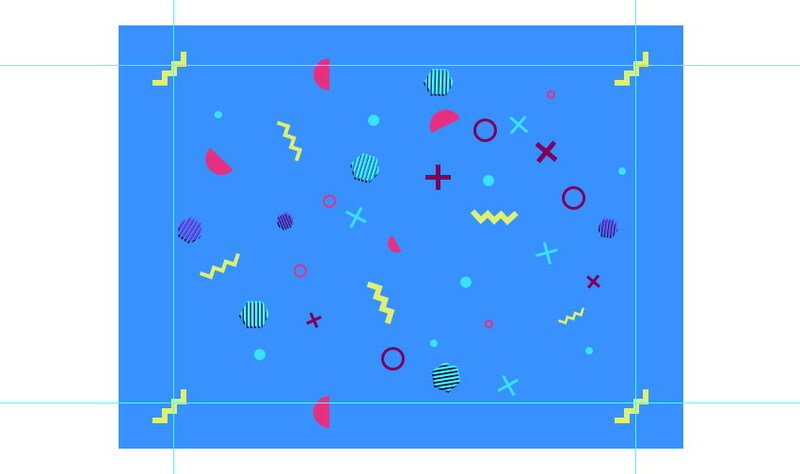 In this tutorial, I will show you how to create a 90s geometric pattern using Photoshop’s vector feature. 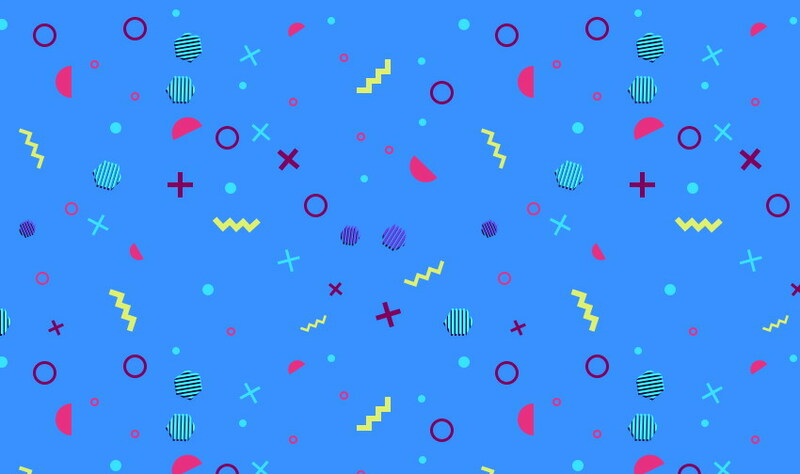 For inspiration on 90s patterns, I suggest you check out the 90s designitems on GraphicRiver. 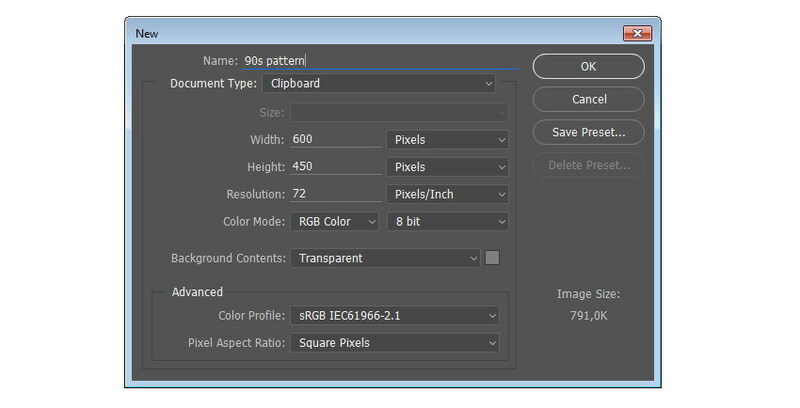 Start by making a new file with size 600 pixels× 450 pixels. Click the OK button. 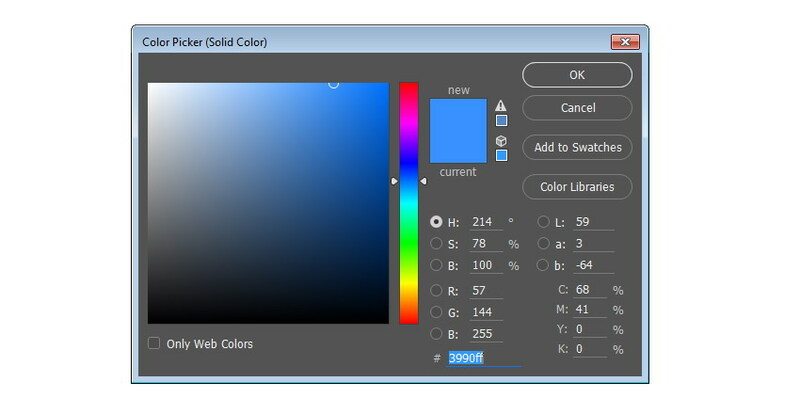 For its background, add a new solid color layer by clicking on the Add Adjustment Layer icon at the bottom of the Layers panel and selectingSolid Color. 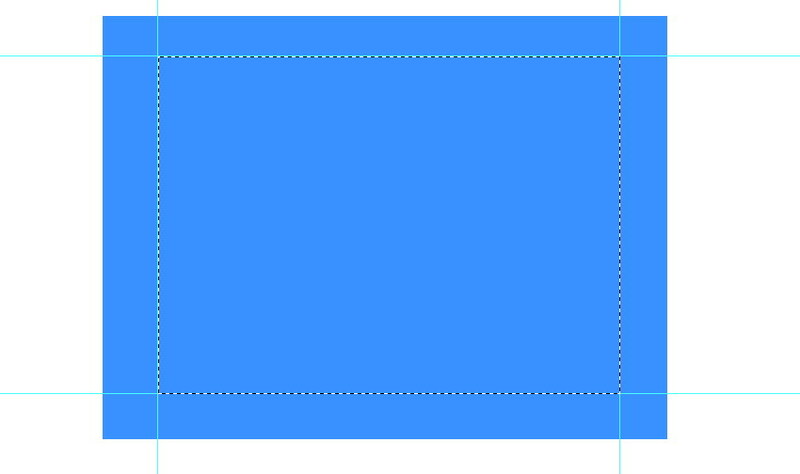 In the next dialog box, select a vibrant blue color. Click OKonce you are satisfied with the result. Make sure that the ruler is visible. If not, click View > Ruler. 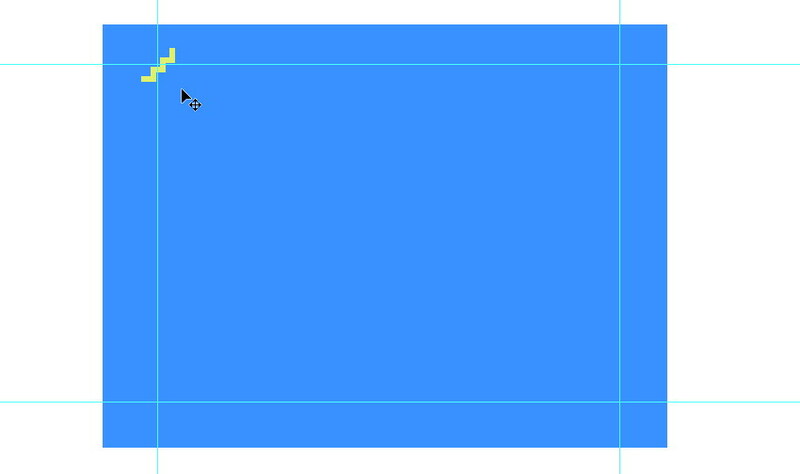 Click and drag from the ruler to make a guide in all four directions: top, down, left, and right. 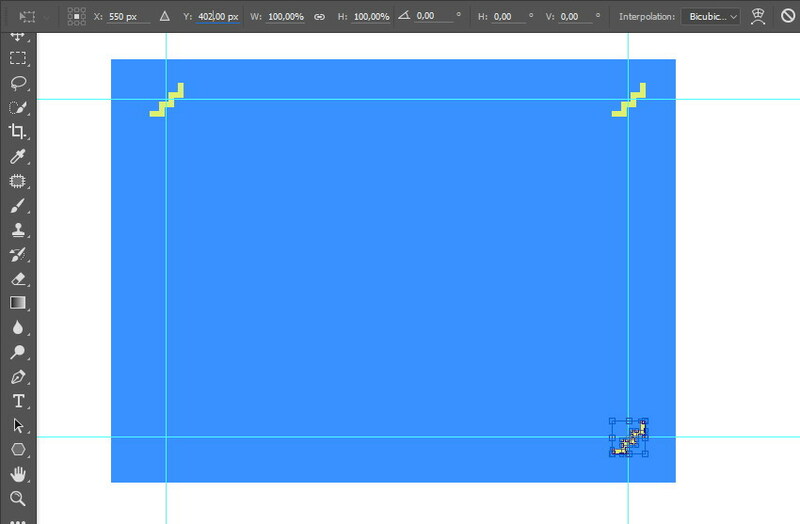 The area inside the guide is going to be used as the pattern area. 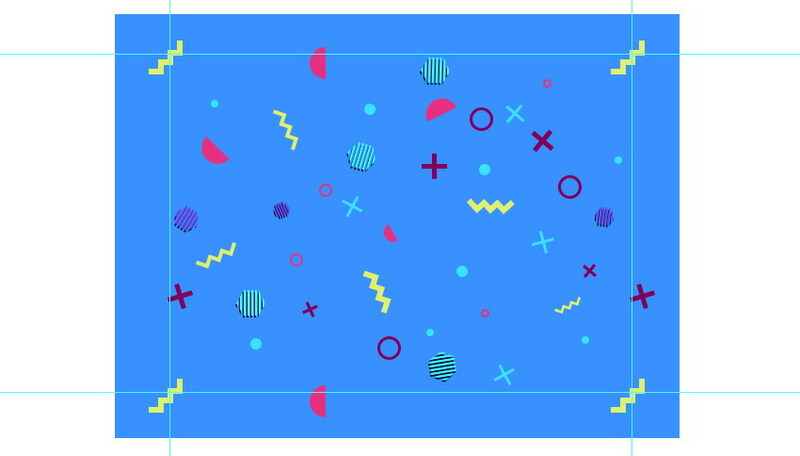 This 90s pattern is filled with geometric shapes. Here, we are going to cover them one by one. Activate theEllipse Tool. Make sure Shape mode is selected in the Option Bar. Remember, we need this mode while drawing every shape in this pattern. So make sure this mode is always selected. 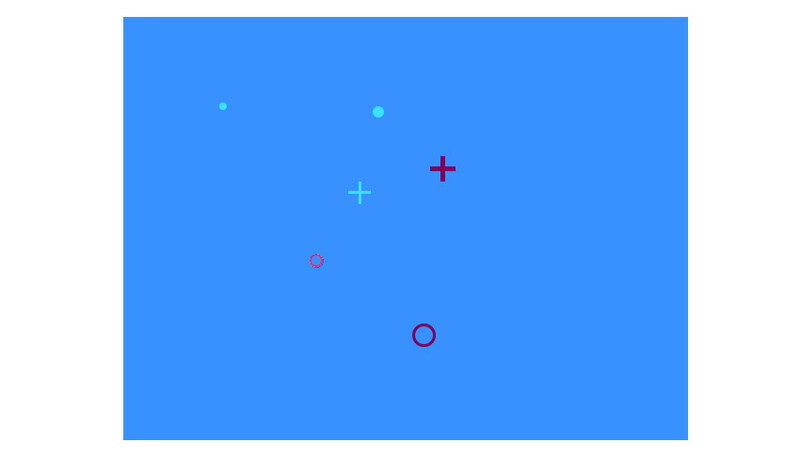 Hold Shift and then click and drag to draw a circle shape. You can then change its color from the Option Bar. Make two circle shapes, one big and one small. 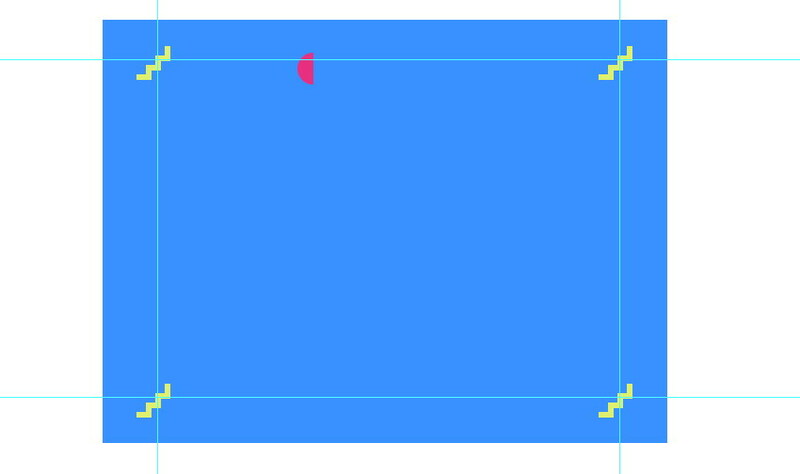 Now, draw a thin rectangle shape using the Ellipse Tool. Duplicate the shape by hitting Control-C and then Control-V. Rotate the new shape through 90°. 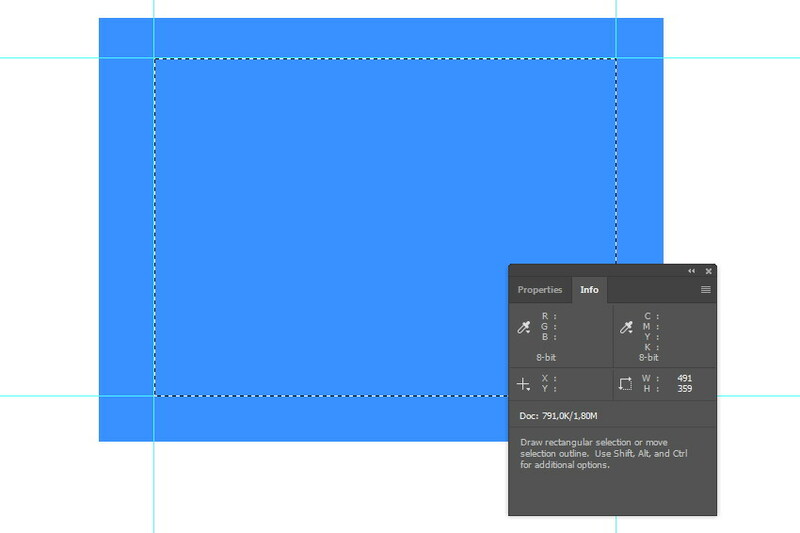 Select Combine Shapes in the Option Bar to combine both shapes into a plus sign. Draw another plus sign, but this time thicker and with a different color. Continue with a ring shape. Draw another circle shape. But, this time, set its Fill to none and increase its Stroke size. Make another ring shape. Let’s draw a half circle shape. It is made of a circle which is then cut in half by a rectangle. 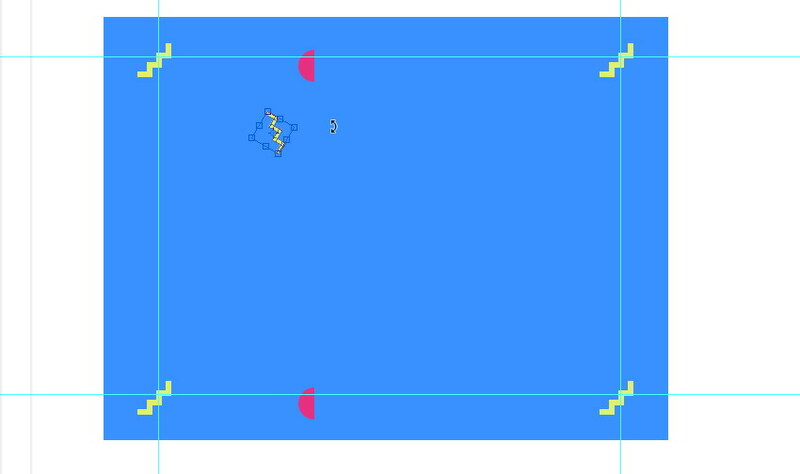 The rectangle mode should be Subtract Front Shape. 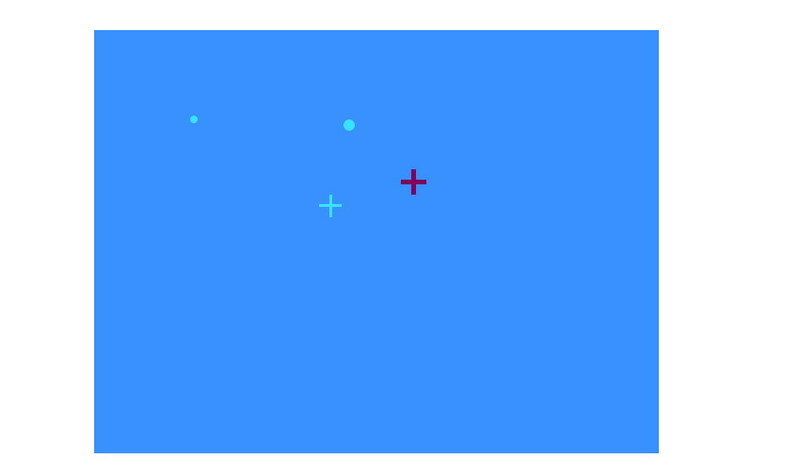 To turn both shapes into a single path, select both shapes and select Merge Shape Components. Use a vibrant color for its Fill and None for its Stroke. Stack two rectangles so that we have an L shape. Duplicate these shapes until we have this zigzag shape. For its color, use yellow. Make another shape, this time thicker. Use the Polygon Tool to make a hexagon. It has six sides. Make sure to set its Sides setting to 6 before clicking and dragging the mouse. Add some rectangles on top of the hexagon and set its mode to Subtract Front Shape. 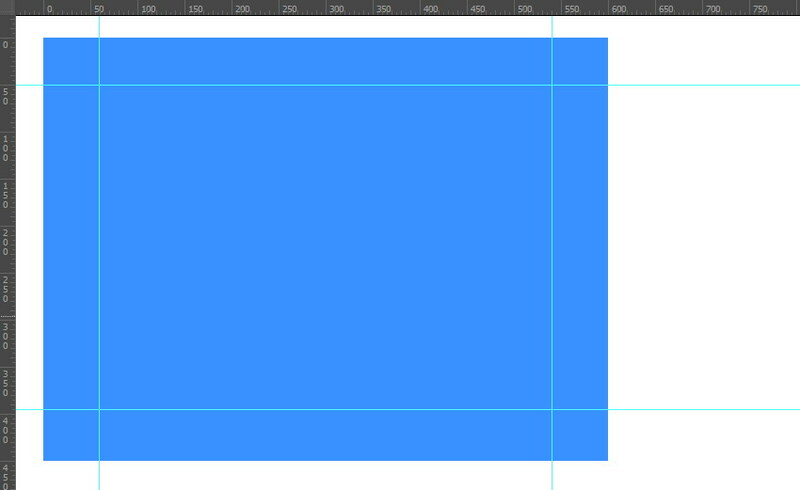 Double-click the layer style and activate Drop Shadow. Add another hexagon, this time with a different color and size. As mentioned earlier, the pattern area is inside the guides. First, we need to know its exact dimensions. Select the area using the Marquee Tool. Open up theInfopanel by clickingWindow > Info. 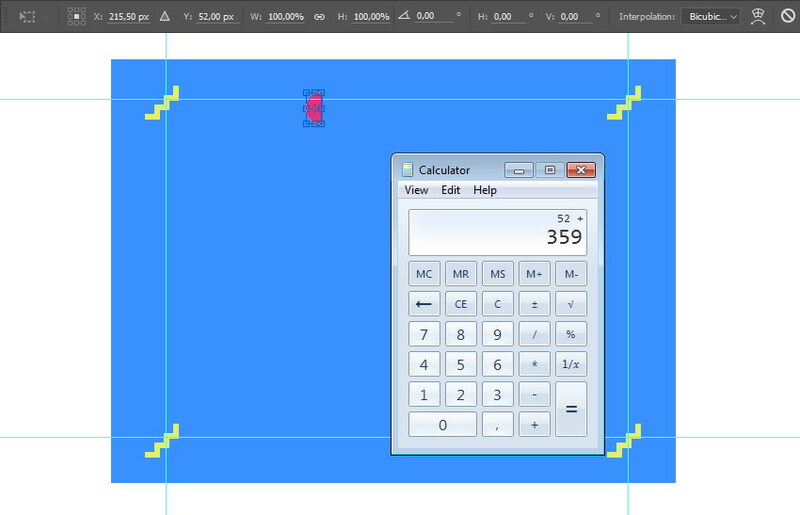 In the panel, you can see the information on the dimensions of the pattern size. In this case, it is 491 pixels×359 pixels. Remember this, and write it down if you have to. 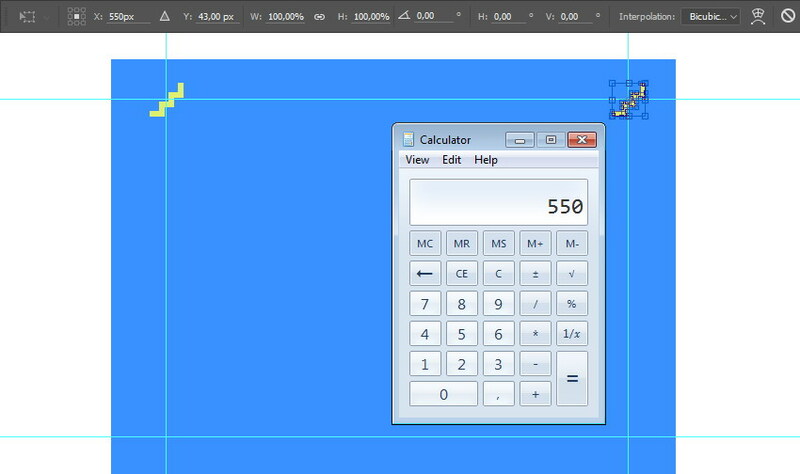 Remember that you want the dimension to be in pixels, not in centimeters, inches, or other units. If your Info panel is showing other units, change it to pixels by right clicking the ruler and selectingPixels. Place one of the shapes in the corner of the pattern area. As a pattern, this shape will be cut off. It has to repeatedly show up in the other three corners. In math, what we are going to do is called translation, which is moving an object in a given direction. 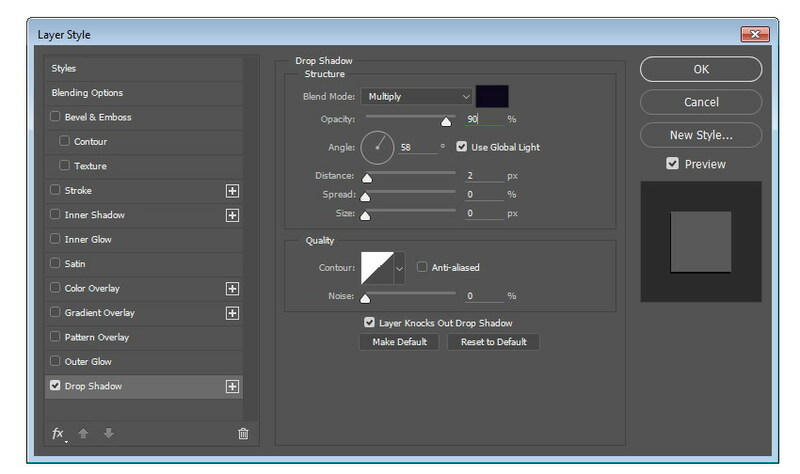 Duplicate the shape using the shortcut Control-J. Next, hit Control-T to position the object. We need to be very precise. That’s why we will not click and drag, but restrict ourselves to the input box only. Notice that in this case, our shape is placed at coordinates (59 px, 43 px). 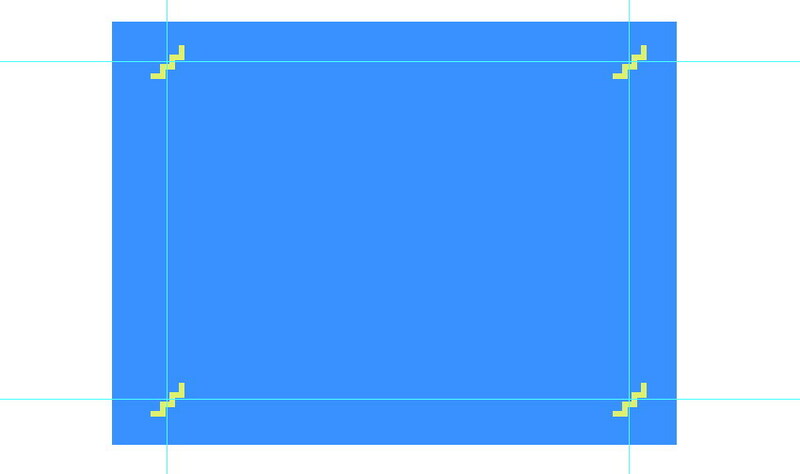 The width of the pattern is 491 pixels. 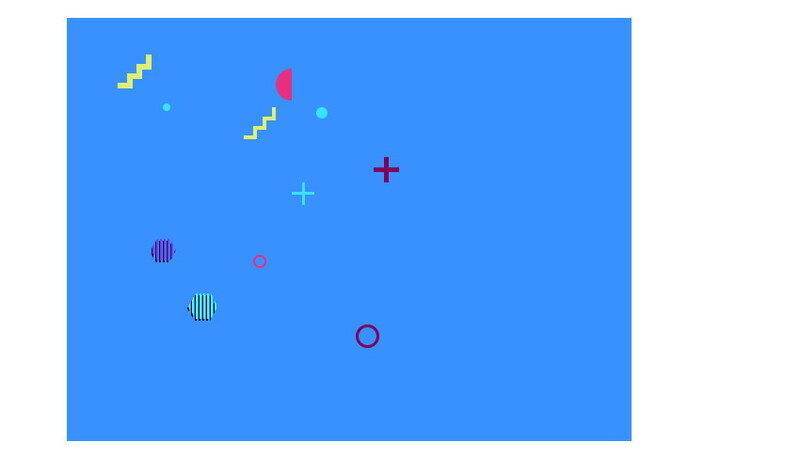 We need to move the shape horizontally 359 pixels to the right so it appears in the right corner. 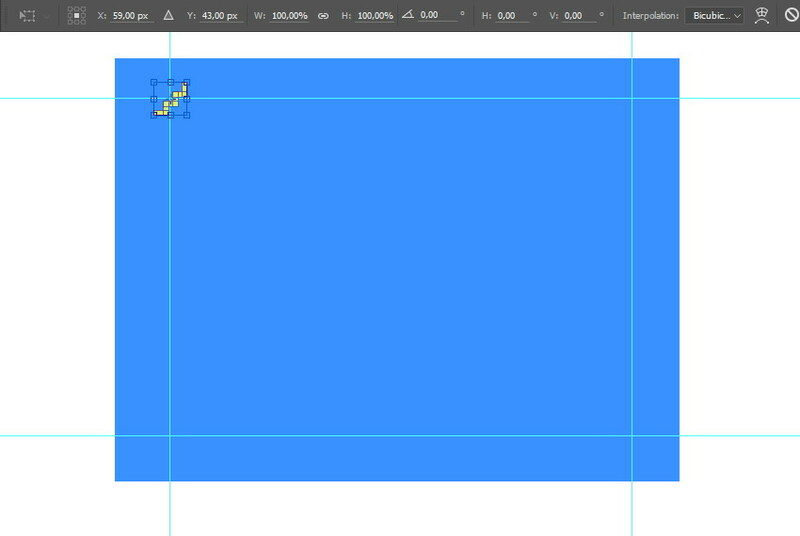 Set the new x position to 550 px, which is from 59 (the original x coordinate) + 491 (the canvas width). We want it to appear in the lower right corner. 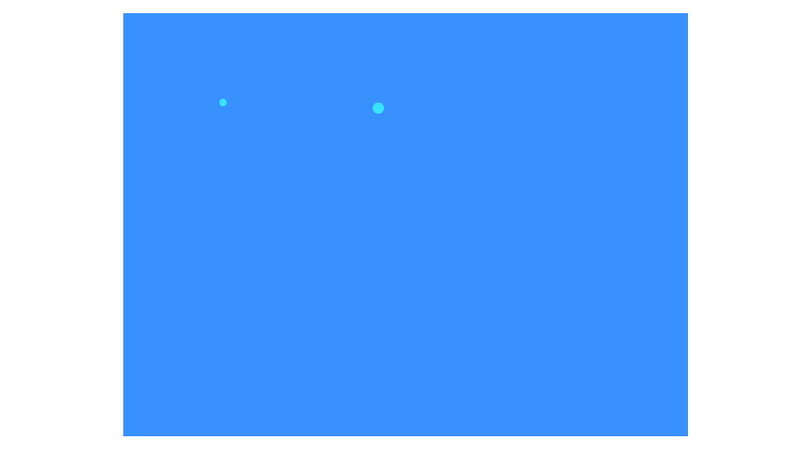 Move the last shape down to coordinates (550 px, 402 px). The new y coordinate, 402, comes from 43 (the old y coordinate) + 359 (the canvas height). Finally, we want it to appear in the last corner. We can duplicate the first shape and move it down by the amount of the pattern’s height. If we are not satisfied with the result, we can move them. Remember, we must move them all together. Otherwise, we have to repeat the translation procedure again to maintain the repeatable pattern consistency. You can do this by selecting all the related layers and moving them using the Move Tool. Add another shape, this time not in the corner but on one of the pattern edges. In this case, we place a half circle on the top edge. As a repeatable pattern, the other part of the half circle should appear on the opposite edge, the bottom edge. So we need to duplicate and put another copy of the shape there. Duplicate the shape. Hit Control-T and change its y coordinate to the old y coordinate + the pattern’s width. In my case, it is 52 + 359 = 411. Here comes the easy part. 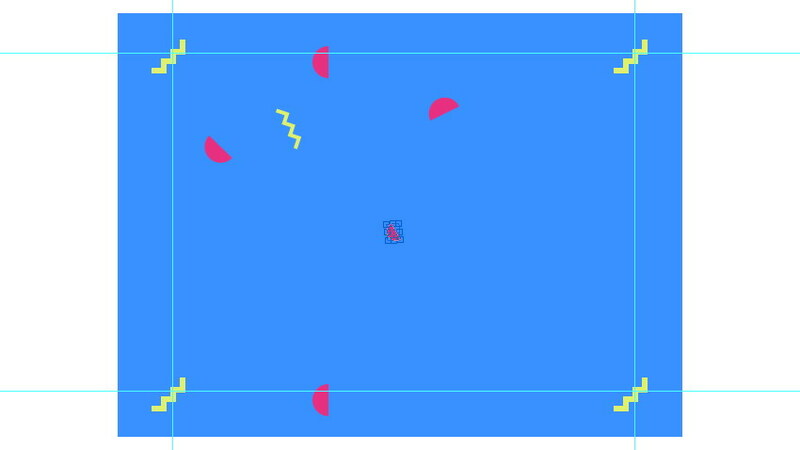 You can simply place objects inside the pattern area with no contact with the edges or corners, without worrying about breaking the repeatable pattern. 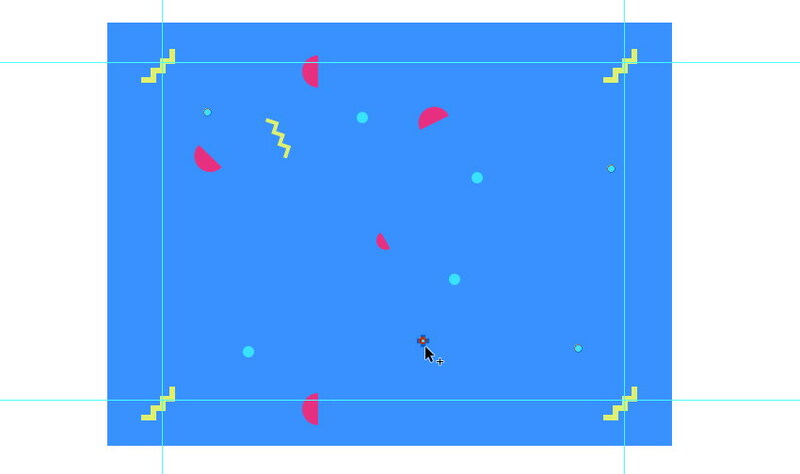 You can add as many objects as you want as long as they don’t touch either the edges or the corners. Again, always remember the basic rule of a repeatable pattern. If you place a shape touching an edge, it has to show up on the opposite edge. Take a look at the plus sign on the left edge. It should be duplicated and then moved to the opposite edge. Select the area that we are going to use as a pattern. Use theMarquee Tool to do this. Click Edit > Define Pattern. In the next dialog box, save its pattern name. Click OK button. 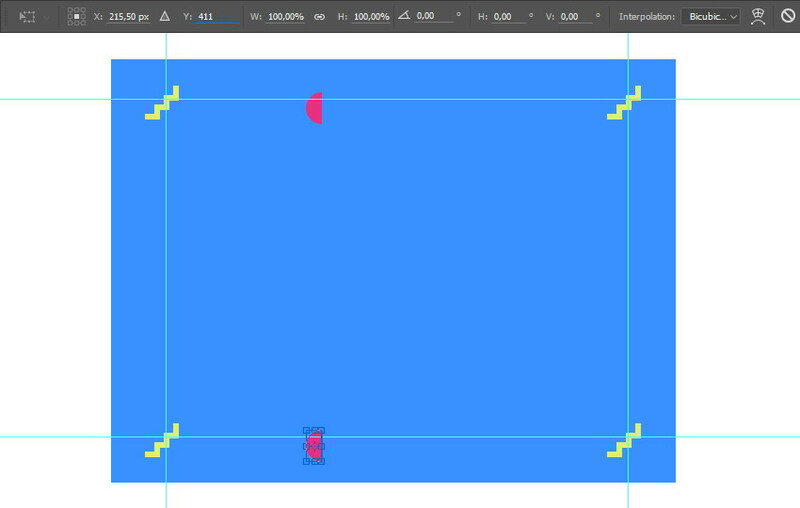 To use the pattern, all you need to do is click Edit > Fill. Select Contents: Pattern and choose the pattern we have just made. 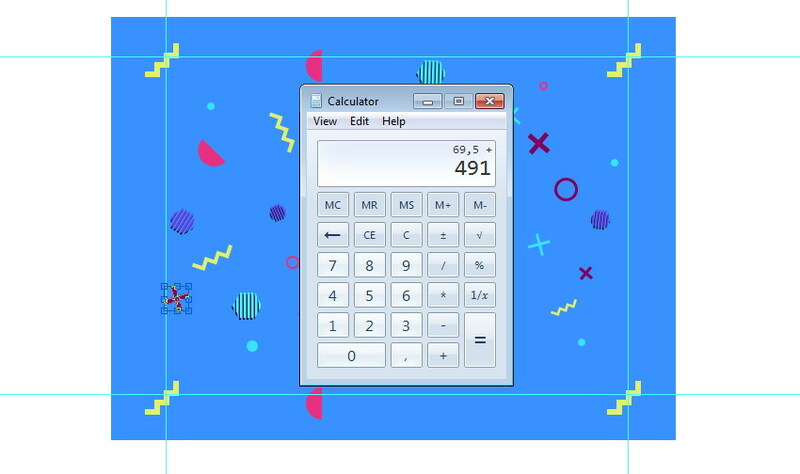 Click OK.
Here’s the final result of the 90s pattern. 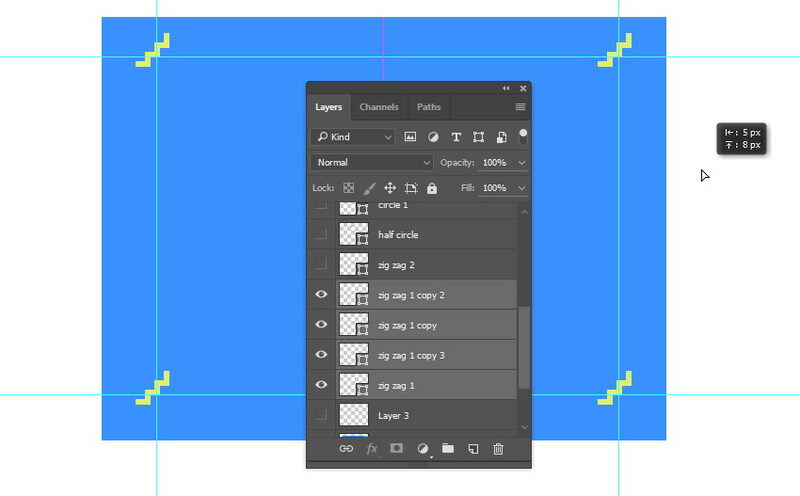 In this quick tip, I have shown you tips and tricks to build a consistent repeating pattern using the translation method. I wrote another quick tip similar to this seven years ago on ThemeKeeper Tuts+. The concept is basically the same. 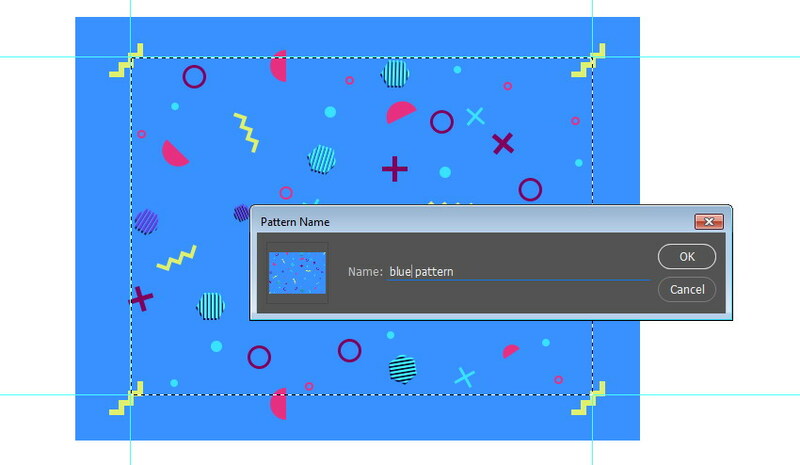 If you’re familiar with Photoshop’s teammate, Illustrator, it has an amazing Pattern Options panel that makes designingthis type of pattern faster and easier. Let’s all wish Photoshop had that too. Thank you for reading. If you follow this tutorial, don’t forget to show us your pattern in the comment section below.